A fully integrated POS accounting system that will allow customers to build and manage online shopping sites for their customers with a robust inventory and account management tool. 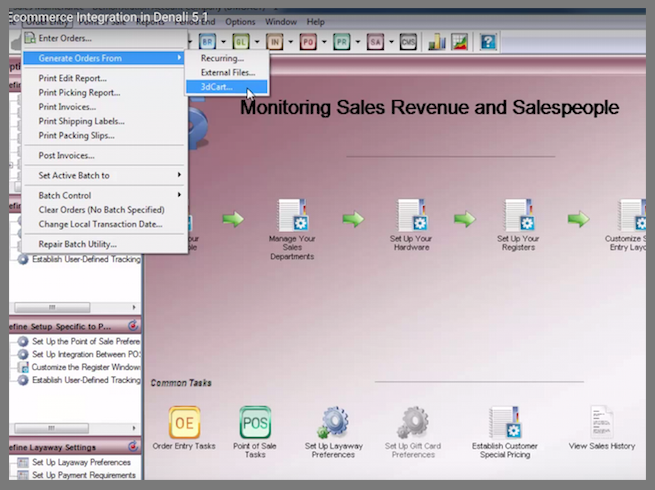 You can now use the feature of Sales Import Orders from the 3dCart window to import transactions from 3dCart into Denali Accounting Software by Cougar Mountain. 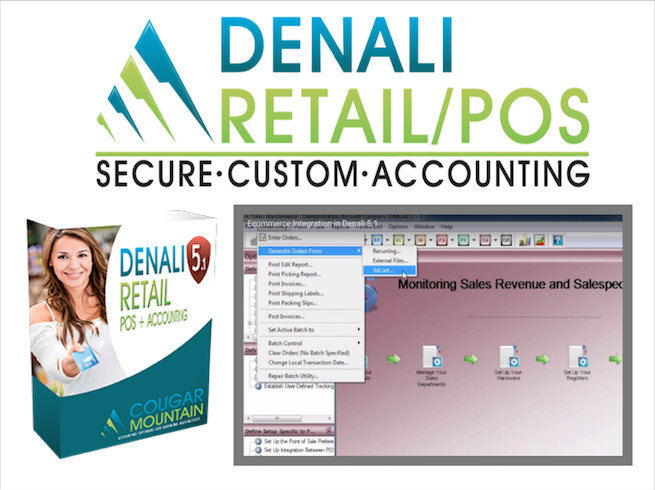 With 3dcart now integrated into Denali, establishing and using a powerful e-commerce solution is quick and easy. Denali is different – it is built to expand to meet the needs of your company.